A front organization pocket includes variably sized and easily accessible storage for small items used throughout the day. The front pocket features small mesh pockets for your keys, phone, mouse and other larger items, plus standard pen and business card slots. The 24/Seven Series also features side stretch mesh pockets to access items like a water bottle, rain jacket, or snacks while you are on the move. Every 24/Seven Series adult pack features a padded sleeve to keep your laptop and tablet safe. 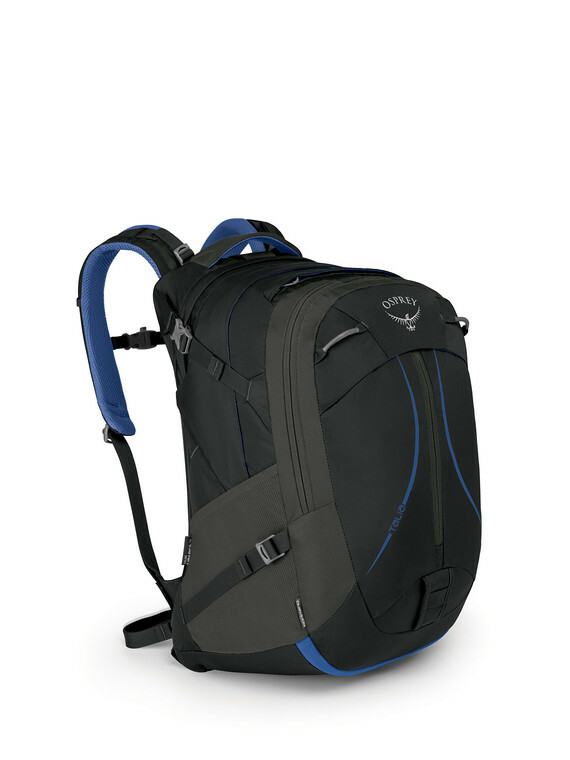 The hanging padded sleeve protects your laptop and tablet from slamming on the ground when you take the pack off. The sleeve also keeps your laptop’s weight close to your back to maintain a stable and comfortable carry. *Koby does not have tablet or laptop sleeve. **Pogo has a tablet sleeve, but no laptop sleeve.